Is Ketamine Rehab Aftercare Necessary? Ketamine addiction can cause lingering and negatively impactful consequences like cognitive impairment and other neural changes, as well as physical issues like urinary tract damage. Additionally, long-term ketamine abuse has been linked to depression and psychosis. The consequences mentioned above require a stage-by-stage treatment and continuing care program from rehab to community living. Aftercare is the first structured plan of treatment and support following a rehab stay. The goal of aftercare is relapse prevention. Research shows that aftercare greatly increases the length of successful abstinence after matriculation from a rehab program. Consequently, community engagement is significantly more successful. Ketamine is a highly addictive drug with severe health risks. The most effective treatment plan occurs across stages of ketamine addiction recovery because the relapse potential is high. An extended care process enables one to address the many life realms that have been affected by ketamine addiction. These include physical, psychological, behavioral, familial, social, legal and occupational or academic functioning. Addiction is a chronic condition and relapse occurs just as it does in other chronic illnesses.For example, the relapse rate for addiction (40-60%) is within the range of relapse rates in asthma (50-70%), diabetes (30-50%) and hypertension (50-70%). Unfortunately, many in recovery feel that relapse is an indication of personal failure or one's inability to recover. On the contrary, relapse should be viewed as a temporary setback, and an indication that renewed recovery efforts are needed. Just as chronic illnesses persist, so must recovery efforts. Success comes with persistence, use of appropriate levels of care, maintaining a good relapse prevention plan and social recovery support. Sustaining recovery from ketamine use requires an individualized and comprehensive relapse prevention plan targeting the negative effects of use. This can include managing triggers and cravings, mental health symptoms, and self-sabotaging behaviors as well as re-establishing relationships and a healthy, productive lifestyle. Aftercare for ketamine addiction is a recommended stage of relapse prevention. If you would like more information about ketamine treatment programs, you can call 1-888-993-3112Who Answers? 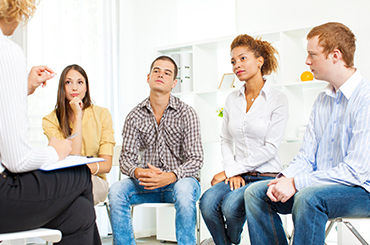 at any time to consult with an addiction treatment support team member. Continuing care is ongoing support for abstinence from ketamine. It extends the treatment process over time in order to ease one into a ketamine-free life. Individual and group counseling for the support of recovery efforts. Learning and practicing coping skills for stress. Support for maintaining independent living. Obtaining needed medical and psychiatric care. Managing problem behavior that leads to ketamine use is also a significant part of aftercare. Impulsivity and risk-taking behavior is addressed by redirecting choices toward positive and healthy behavior. Aftercare in which 12-Step participation is encouraged and supported may be very effective for those recovering from ketamine addiction. 12-Step programs are free and widely available community resources. Participation in these programs dramatically increases social support for recovery. 12-Step Facilitation Treatment provides in-depth exposure to the program's concepts for some weeks after rehab. Meeting attendance, along with education and encouragement, best ensure good engagement in the programs and link newly sober individuals with a valuable community resource. This transitional step to a ketamine-free lifestyle from later stages of treatment significantly extends abstinence time. Participants enter 12-Step programs at an advantage, aware of 12-Step principles. Ketamine addiction can cause health complications that require continuing care. These include care for any physical problems resulting from ketamine toxicity. It is not uncommon to need treatment for GI, bladder and kidney issues. Additionally, ketamine use can cause persistent psychiatric symptoms requiring care. Anti-depressants to improve mood and decrease anxiety. Ketamine has anti-depressant properties, and research has stipulated that ketamine users develop dependence as a way of self-medication depressive symptoms. Therefore, any antidepressants will be prescribed with caution, after a full assessment of the cognitive effects of ketamine and underlying causes of use in the patient. Mood stabilizers to manage impulsivity and mood swings. Antipsychotics for agitation and to ease any persisting hallucinations or delusions. Again, ketamine tends to exacerbate psychosis and schizophrenia type symptoms, so anti-psychotics will be prescribed with caution, considering the individuals unique use profile and adjunct difficulties. Sober living and therapeutic community living greatly enhance the chances of remaining ketamine-free. They are 'step down' options from intensive treatment in a rehab facility. Residents in both continue their recovery momentum with continuing support and services while preparing for a more independent substance-free lifestyle. Research shows that people who participate in such programs dramatically reduce their chances of relapse. Further, due to the significant impairment of ketamine on cognition, including working and episodic memory, a sober living arrangement may provide the structure and functionality to help ease ketamine dependent individuals back into the stress of society. Immediately returning to independent living after rehab places some individuals at significant risk. If you or a loved one is preparing to re-enter the community from rehab, it is recommended that you consider these options. You can call 1-888-993-3112Who Answers? 24 for more substance abuse treatment information. Contingency management (CM) is a highly effective treatment method in ketamine addiction recovery. It is a behavioral control technique that rewards positive behavior and shapes a recovery-based lifestyle. CM is typically used in conjunction with other modalities. Some examples of CM include receiving vouchers when drug screens are clean, or when recommended treatment sessions have been attended. Rewards for participation in community activities, skill building classes and recommended medical care appointments can also be given. Such programs are very successful and have shown to increase treatment participation, increase housing stability and dramatically improve poor health. Loneliness and isolation significantly increases rates of relapse. Consequently, a good recovery-focused support system is vital in ketamine recovery. Emotional support, opportunities to socialize, have meaningful relationships and a sense of belonging, are significant in relapse prevention. It is often difficult to support another's recovery and relapses do occur. Family and friends need to enhance self-care, seek addiction education and help when needed. To find out more about help for you, a loved one or your family, call 1-888-993-3112Who Answers? to speak with a ketamine addiction treatment support team member. Someone is available to discuss your needs 24 hours a day. Chu, P., Ma, W., & Wong, S. (2008). The destruction of the lower urinary tract by ketamine abuse: a new syndrome? BJU International Journal of Urology, 102 , 1616-22. Godley, M., Godley, S., Dennis, M., Funk, R., & Passetti, L. (2006). The effect of assertive continuing care on continuing care linkage, adherence and abstinence following residential treatment. Addiction, 102, 81-93. Jansen, K., & Darracot-Cankovic, R. (2001;). The nonmedical use of ketamine. Part Two: a review of problem use and dependence. Journal of Psychoactive Drugs, 33 , 151-8. Kalsi, S., Wood, D., & P. Dargan, P. (2011). The epidemiology and patterns of acute and chronic toxicity associated with recreational ketamine use. Emerging Health Threats Journal, 4, 10. Lash, S., Timko, C., Curran, G., McKay, J., & Burden, J. (2011). Implementation of evidence-based substance use disorder continuing care interventions. Psychology of Addictive Behaviors, 25, 238-51. Morga, C., Muetzelfeldt, L., & Curran, H. (2015). Consequences of chronic ketamine self-administration upon neurocognitive function and psychological wellbeing: a 1-year longitudinal study. Addiction, 105 (1), 121-133. Morgan, C., Muetzelfeldt, L., & Curran, H. (2010;). Consequences of chronic ketamine self-administration upon neurocognitive function and psychological wellbeing: a 1-year longitudinal study. Addiction, 105(1), 121-33. Narendran, R., Frankle, W., Keefe, R., R.Gil, & Martinez, D. (2005). Altered Prefrontal Dopaminergic Function in Chronic Recreational Ketamine Users. American Journal of Psychiatry, 162 (12), 2352-2359. Pal, H., Berry, N., Kumar, R., & Ray, R. (2002 ). Ketamine Dependence. Anaesthesia and Intensive Care Journal, 30(3), 382-4. S.Lash, G. P., O'Connor, E., & Lehmann, L. (2001). Social reinforcement of substance abuse aftercare group therapy attendance. Journal of Substance Abuse Treatment, 20(1), 3-8. Sarbjeet, S., Kalsi, D., & Wood, P. (2011). the epidemiology and patterns of acute and chronic toxicity associated with recreational ketamine use. Emerging Health Threats Journal, 4 (10), 3402. Schaefer, J., Cronkite, R., & Hu, K. (2011). Differential relationships between continuity of care practices, engagement in continuing care,and abstinence among subgroups of patients. Journal of Studies on Alcohol and Drugs, 72,, 611-621. Smith, K., Larive, L., & Romanelli, F. ( 2002). Club Drugs: Methylenedioxymethamphetamine, flunitrazepam, ketamine hydrochloride, and ?-hydroxybutyrate. American Journal of Health-System Pharmacy, 59(11), 1067-1076. Wang, Y., Chen, S., & CM, L. (2010). Breaking the drug addiction cycle is not easy in ketamine abusers. International Journal of Urology, 17 (5), 496. Weiner, A., Vieira, L., McKay, C., & Bayer, M. (2008). Journal of Emergency Medicine, 18. Ketamine abusers presenting to the emergency department: a case series, 447-51.